Persepolis, named after the ceremonial capital of the Persian Empire, tells the story of a girl growing up in Iran during the Islamic Revolution. 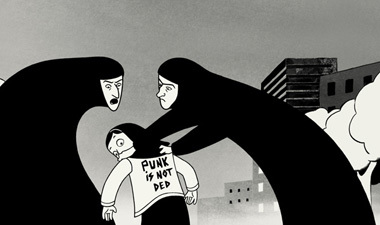 Based on creator Marjane Satrapi's own life - although in interviews in the special features, she is careful to say that this is not a biography, but a story - the movie follows young Marjane through the pain of her uncle's execution, her fears when she must move to Austria at age 14, her return to Iran after high school, and her realization at age 24 that she must leave again, this time forever. 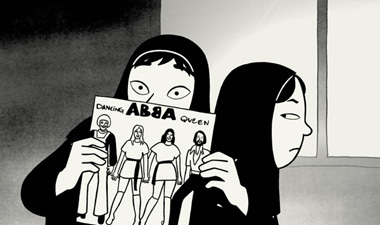 Despite the serious plot, Satrapi infuses the film with humor, making it accessible not only to those with an interest in life inside dictatorships, but to anyone who enjoys stories about rebellious women learning to be themselves. 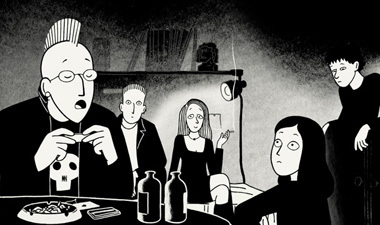 Below: Marjane Satrapi on the English casting for Persepolis.